Suds And Sensibility: Barber's Violin Concerto Barber's beautiful concerto came about at the request of a soap magnate named Samuel Fels. Although the business end of the commission was sullied, the concerto came out sparkling. 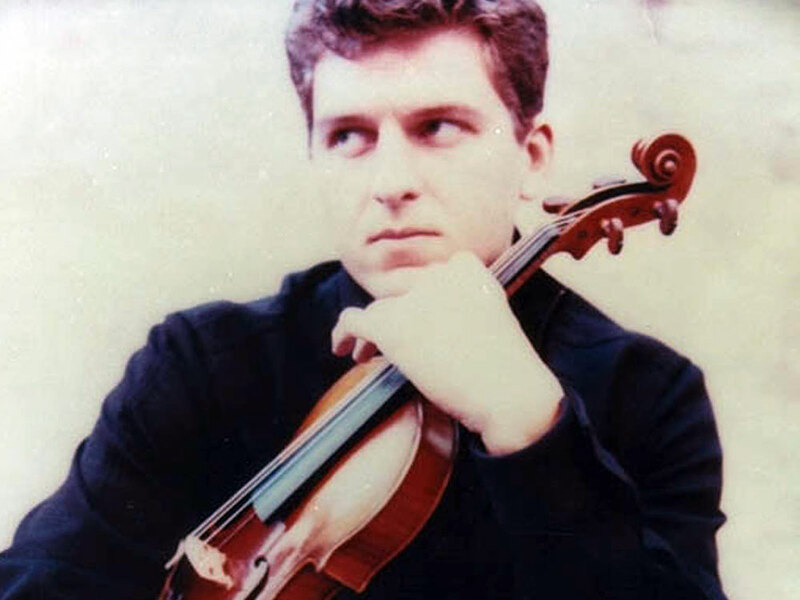 Hear violinist James Ehnes play the piece in concert. Canadian violinist James Ehnes won a Grammy in 2008 for his recording of Barber's Violin Concerto. Every now and then, a little wheeling and dealing goes into a new piece of music. That's especially true in the case of Samuel Barber's Violin Concerto, performed in concert here by James Ehnes at the Grand Teton Music Festival. In 1939, Samuel Fels, who made a fortune selling soap (remember Fels-Naptha? ), commissioned Barber to write a concerto for his violin-playing son. The deal was for $500 up front, and another $500 upon completion. Barber filled the first two movements of his new concerto with lush, song-like passages. But the son was disappointed — not flashy enough, he said. Barber reacted by writing him a vigorous finale — with the solo part in almost perpetual motion. But the soap heir wasn't up to it. One story says he called it "unplayable." Another says he didn't like it for aesthetic reasons. This was a problem; Barber was in danger of losing his commission money. So the soap baron and Barber set up a special meeting. Another fiddler (a student at the Curtis Institute) was brought in to have a go at the supposedly unplayable music. It turned out that the piece could be performed after all, and it was agreed then and there that Barber would not only receive the full commission fee, but also that the soap man's son would relinquish the right to play the world premiere. Barber ended up having his own private nickname for the piece. He called it the "Concerto da Sapone," the Soap Concerto. Barber's piece is now among the most widely played and recorded violin concertos of the 20th century. Still, there's something of a jarring juxtaposition between the concerto's lightning-fast finale and its sweet, slow-moving opening movements. But that's not a problem for Grammy-winning Canadian violinist James Ehnes. His 2008 Grammy — best instrumental soloist with orchestra — was for his recording of Barber's Violin Concerto (along with music by Korngold and Walton). Ehnes, originally from Manitoba, began playing violin when he was just 4. He got down to some serious studying when he was 9, and at 13 he made his debut as a soloist with the Montreal Symphony Orchestra. Ehnes graduated from the Juilliard School in New York in 1997. His career hasn't been a traditionally glitzy one, and some were surprised at his Grammy win, in which he edged out far better known musicians such as Lang Lang, Christoph Eschenbach and Simon Rattle. Ehnes plays a sweet violin — the "Marsick" Stradivarius, built in 1715.